Old Navy’s jeans are on sale, which makes this a Fabulous Friday! I love it when they put their jeans on sale because as most of you know, my Old Navy Rockstar jeans are my go-to pair. Here are a few outfits I’ve worn them with. These jeans will easily transition into fall and winter, pairing them with boots and sweaters. Which I am starting to look forward to! For a limited time, Old Navy jeans are on sale from $19 and kids’ jeans are on sale from $10. Also, when you try on a pair. 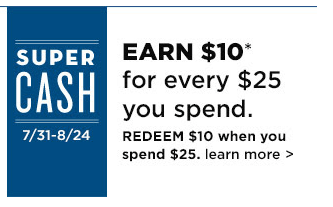 Old Navy will give you $5 towards a purchase of $40 or more. They also have their Super Cash, where you earn $10 for every $25 you spend. Here are a few of their Women’s jeans styles to choose from. Here are a few of their kids’ jeans styles on sale. Ooh, I love my Rockstar jeans too. I’ve gained too much weight to get into mine, but I’m working on it. Love how you styled them. That first look is great!!! I even prefer them over some high-end jeans. I need more!